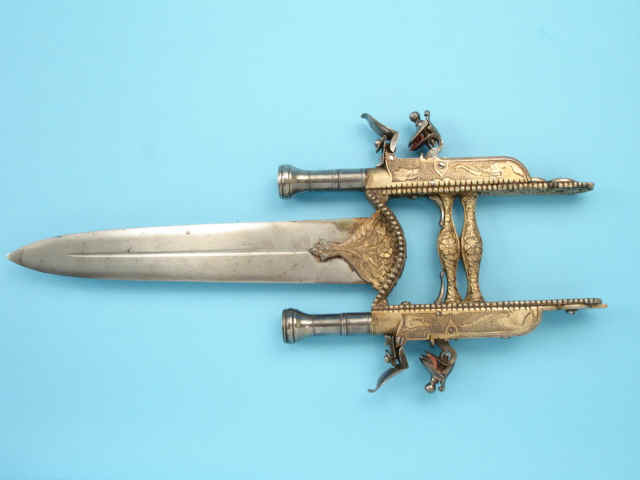 The broad 9 1/2-inch blade with central fuller. 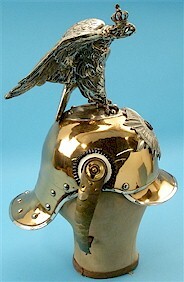 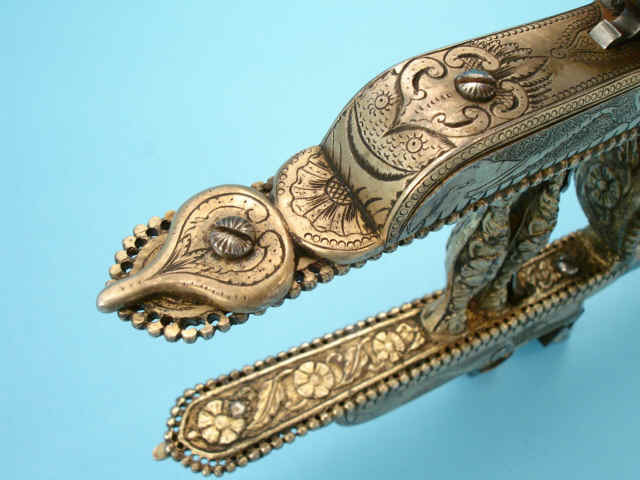 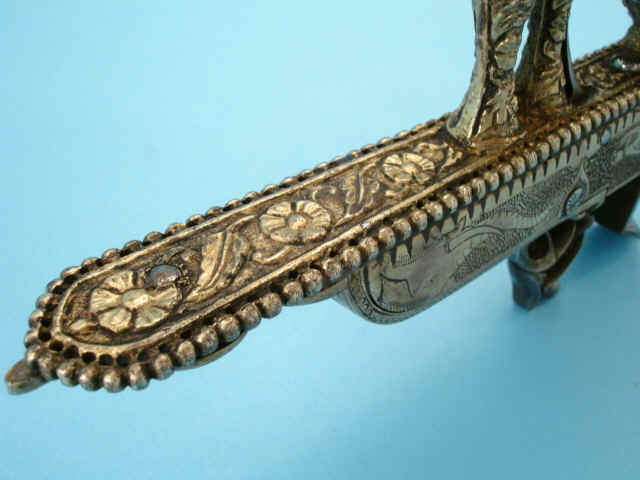 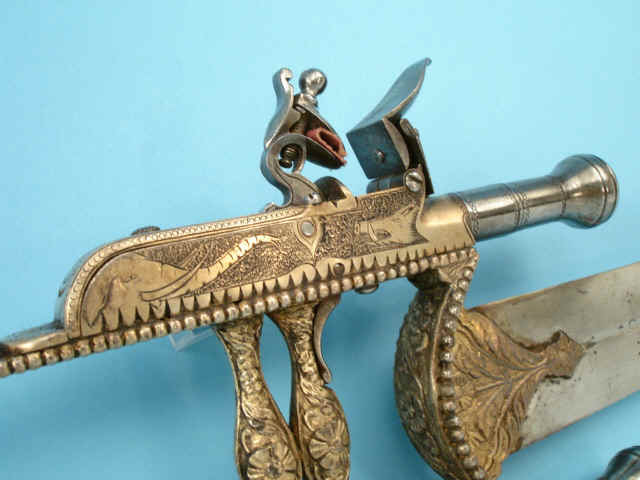 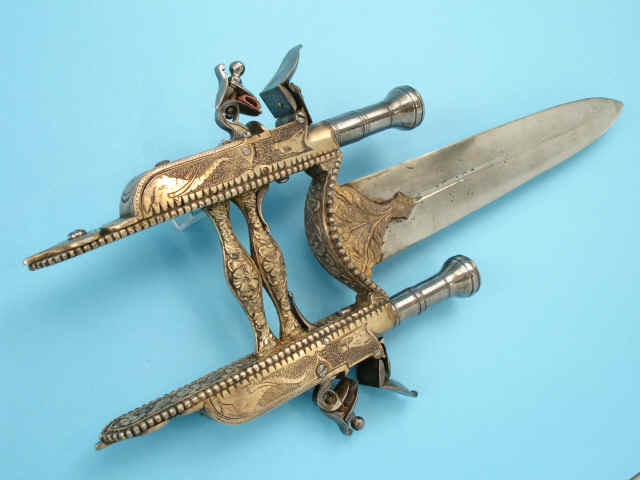 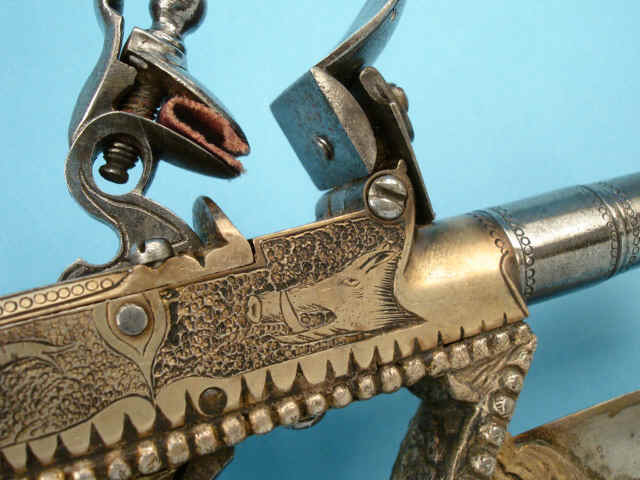 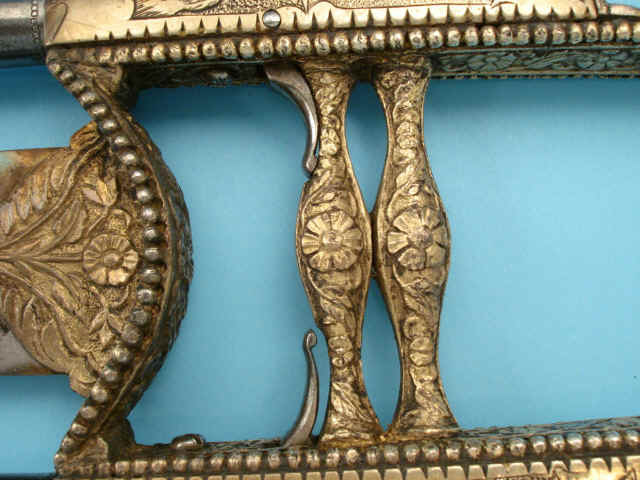 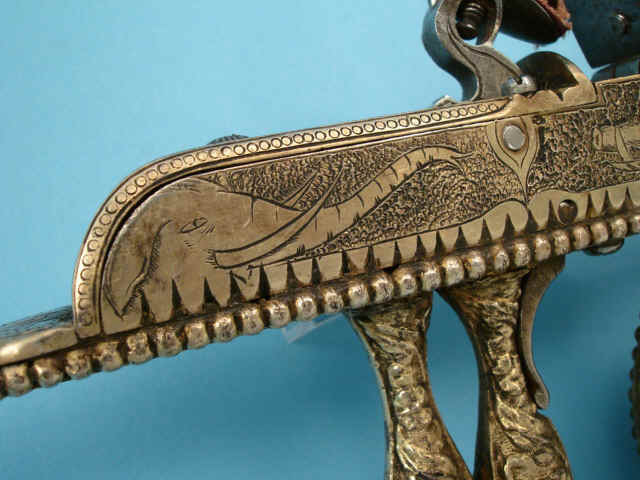 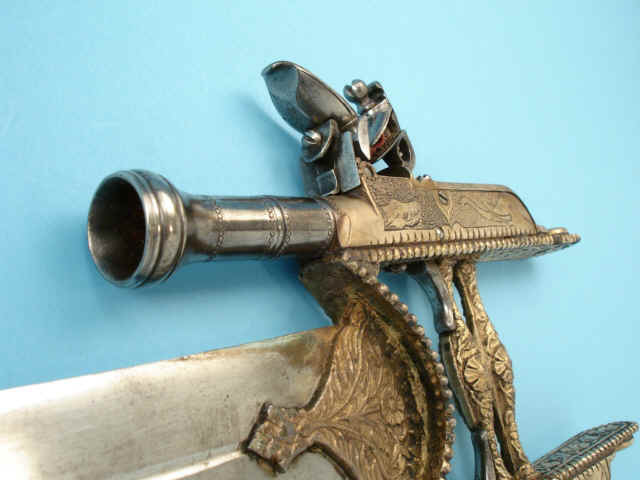 German silver grips with pierced and beaded rims and embossed with florals and fitted with German silver boxlock actions, the side engraved with elephants and boars. 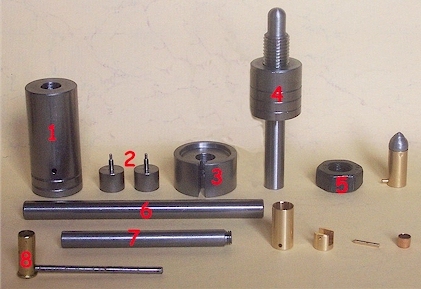 2-inch steel cannon barrels with widely flared muzzles. 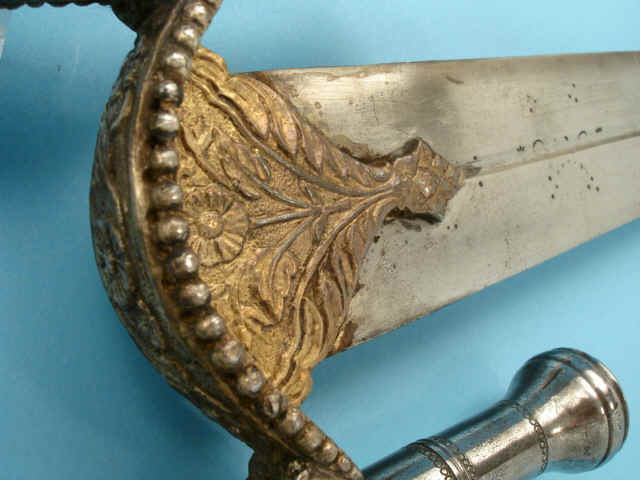 Condition: Steel parts showing some light pitting.